If your baby was born early, then the childcare you had planned during your pregnancy may no longer be an option. Babies who are born prematurely are more susceptible to illness and common bugs like the flu and RSV can cause serious complications in preemies. Additionally, some preemies may have chronic health problems or developmental delays that make finding quality child care more difficult. Before choosing child care for your premature baby, talk to your pediatrician about which types of settings would be best. Some preemies do fine in conventional child care settings, but others, especially those who were born very early or who had additional complications, may have immune systems that are too weak for group child care settings. Other preemies may be delayed in meeting milestones, and rigorous academic programs and strict potty training schedules may be frustrating for child and parent alike. Parents of premature babies have many child care options to choose from. All have benefits and drawbacks, so consider each option carefully before making decisions. A Parent at Home: Even if both parents were planning to return to work after the birth of your baby, take a careful look at whether either parent could stay home for the first months or years of your baby’s life. Having a parent at home can be a great money saver -- many families need only one car, meals can be prepared more cheaply at home, and childcare costs can be eliminated. If you’re worried about finding full-time child care for your preemie, take a careful look at your finances to see if this option could work for your family. A Family Caregiver: Offering a family member the job of caring for your baby is a serious decision, but it’s a choice that works well for many families. Premature babies get the benefit of being in a home with limited exposure to germs and illnesses and have the benefit of a high adult-to-child ratio to enhance learning and development. Family members may parent differently than you, though, or may have different schedules or nutritional standards. Nannies: A nanny is a great option for parents who can afford the premium rates that skilled nannies charge. Most nannies are trained in child development, and some have additional certifications in newborn care. They can help your preemie to learn and grow in the best way possible. Most nannies live in their own homes, although some live in their clients’ homes. Average nanny fees vary greatly by location but may range between $400 to $1,000 per week. Au Pairs: An au pair is a young, foreign student looking to experience life in a foreign country. They live with a host family and care for that family’s children, receiving a stipend to cover their other living expenses. Host families typically pay between $300 to $350 per month in stipends and placement fees. The best au pairs provide loving child care for up to 45 hours per week, in your home, while introducing your children to a foreign culture. Home Child Care Facilities: In-home childcare facilities vary greatly. Some are small businesses run by stay-at-home moms who care for only a couple of children; others are larger businesses with assistant caregivers and more kids. In-home caregivers may have extensive experience working with children and be able to help parents care for their preemies, even those with special needs. This is often the most affordable child-care option outside of having family care for your preemie. 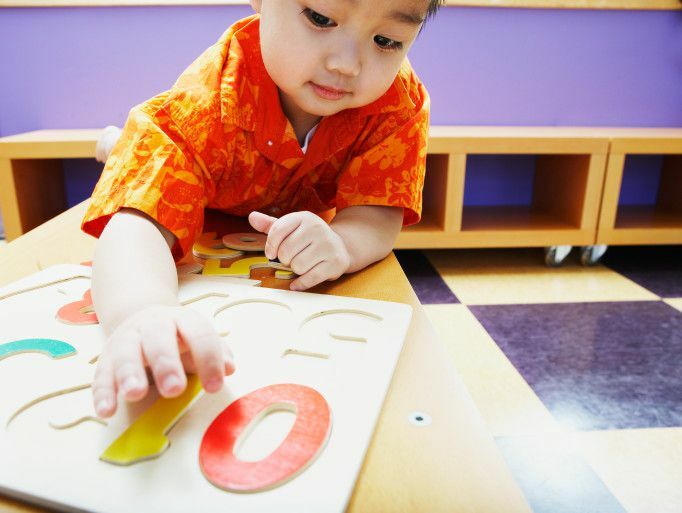 Daycare Centers: Daycare centers care for a large number of children in a group environment. Many offer educational programs, healthy meals, and extended hours for parents with unusual work schedules. They may have experience working with children with special needs, and parents with heavy workloads don’t have to worry that their regular caregiver might need time off for illness since daycare centers have substitute staff available. Daycare centers typically work with set teacher/child ratios depending on the age of the child, but classes may be combined so that more children are placed together. Limited exposure to other children: For limited exposure to germs. Strict sick policy: To keep your preemie away from sick kids. Flexible toilet-training program: Preemies may toilet train later. Strict hand-washing policies: For staff and students. Appropriate educational program: To enhance development without being too rigorous. Understanding of child development: To help you watch for developmental delays. Rosenthal, Marjorie S. MD, MPH; Crowley, Angela A. PhD, APRN, BC, PNP; Curry, Leslie PhD, MPH “Family Child Care Providers' Experience in Health Promotion.” Family & Community Health. Innovations in Family and Community Health October/December 2008 31:326-334.